Oatmeal cookies are a favorite of many cookie lovers. 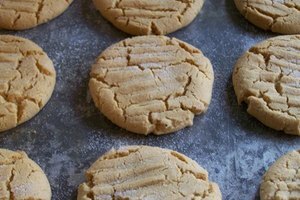 Not only are they relatively simple to make, a variety of ingredients can be added to spice up the traditional cookie. One challenge that faces some cookie lovers is intolerance to certain ingredients, such as eggs. 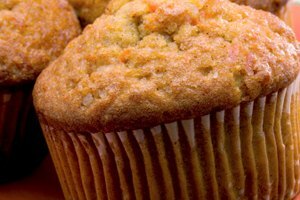 According to MayoClinic.com, eggs are considered one of the most common foods to cause a food allergy. In addition to egg allergies, some people who eat vegetarian diets or choose not to consume eggs must also modify their oatmeal cookie recipes to avoid this ingredient. 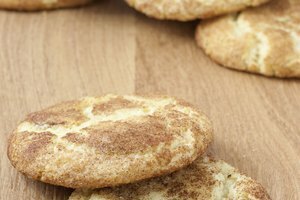 Eggs are necessary to many cookie recipes because they hold the cookies together and add moistness; however, several options can serve this function, as well. Assemble the ingredients. The following recipe will yield about 42 cookies: 1 cup margarine or butter, 1 cup brown sugar, ¼ cup water, 1 tsp. vanilla, 3 cups quick cooking oatmeal, 1 ¼ cups flour, 1 tsp. salt and ¼ tsp. baking soda. Preheat the oven to 375 degrees. Cooking at higher or lower heat requires that cooking time be adjusted as well. Higher heat requires less cooking time and vice versa. Combine ingredients and bake. Begin by mixing the butter and sugar. Add water and vanilla. Blend all of the dry ingredients separately and then add these to the wet mixture. Refrigerate the dough for 20 to 30 minutes or until cooled. Remove dough and shape into 1-inch balls, then flatten slightly with a fork on a greased baking sheet. Bake the cookies for 12 minutes or until slightly brown. Consider some alternatives. Although the above recipe is a complete oatmeal cookie recipe without eggs, many alternatives can be included in other oatmeal cookie recipes. 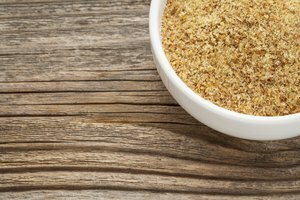 The following items can be used to replace eggs in most oatmeal cookie recipes: silken tofu, crushed bananas, applesauce, water combined with corn starch, yogurt and commercial egg substitutes. The amount of these replacements varies according to the quantity of eggs called for in the recipe. Typically ¼ cup of applesauce, silken tofu or yogurt replaces one egg. Get creative. Many options can turn basic oatmeal cookies into something a little special. Consider adding chocolate chips, dried fruit or even coconut to create an especially tasty oatmeal cookie.